2 Bedroom Apartment To Rent in Shanklin for £550 per Calendar Month. Located in the heart of the Shanklin with all is shops and amenities this lovely light and airy, top floor apartment has been recently refurbished throughout to an extremely high standard to provide a really stylish home. The accomodation briefly comprises large, welcoming entrance hallway with entry phone, large double bedroom and a larger than average single bedroom both with newly fitted carpets and a good size, extensively tiled bathroom with mixer tap shower over the bath. 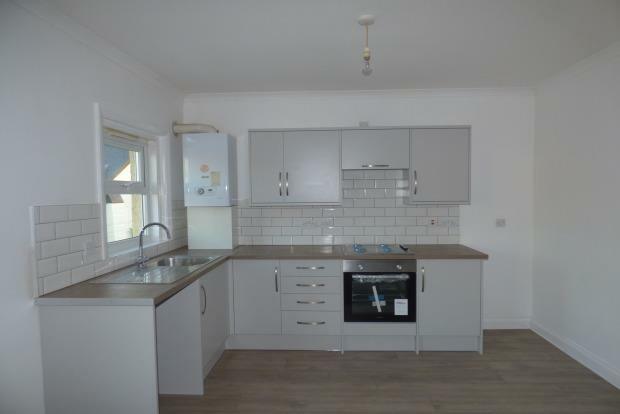 The 'crowning glory' of this apartment is the open plan living room with a newly fitted, stylish kitchen with built in gas hob and electric oven and complimenting floor covering. Other features include gas central heating and UPVC double glazing. Neutrally decorated throughout this super flat really has loads to offer so early viewing comes highly recommended.